Do your store your PowerPoint files in Dropbox, Box, Google Drive, or SharePoint Online? Do you need help managing, organizing and finding your slides? Do you need to share slides with your team? Slideboxx Cloud works with cloud storage you are already using. All you need to do is connect Slideboxx Cloud to your cloud account and tell it which folder(s) to look in. It will take care of the rest and build and maintain your PowerPoint library automatically. This means it's very easy and convenient to get started with Slideboxx Cloud. 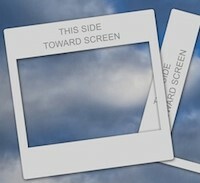 In addition, you retain complete control over your slides. Unlike other cloud-based PowerPoint libraries which require you to upload your slides Slideboxx Cloud doesn't lock your slides into a closed system. All of this means you will be able to make better presentations by focusing on telling your story and creating new slides. Using Slideboxx Cloud you can access your slide library anywhere you are connected and on any device (laptop, desktop, tablet, or smartphone). There is nothing to install or maintain on your computer, tablet, or phone. With Slideboxx Cloud, multiple people can access the same slide library. It is a great solution for groups you need to work from a common set of slides -- and you don't need to setup or maintain any infrastructure to do it! Slideboxx Cloud even lets you define different groups who can access different sets of slides. Slideboxx Cloud runs on the trusted Amazon web infrastructure. Your information is encrypted using industry standards and all communication with the Slideboxx Cloud service is protected by the same mechanisms used by banks.